I said I’d update when I was home and happy so here goes! I got home Wednesday night and went straight for a bath, which is usually my first step in the whole dehospitalisation process. (I swear that’s a real thing!) I had every intention of getting out of the horrible patient feeling, and getting back to my normal human self. The plan was a bath to relax and get rid of every last bit of sticky left over from the tape and dressings that have been covering my hands and wrists for a week, wash and condition my hair, and then to dry and straighten it so I could look and feel a lot better. Not a chance! I did get a bath, mandatory lush bath bomb included, and managed to get the majority of the tape marks off. (I was actually gutted when I found little bits I’d missed today!) But the whole idea of drying and straightening my hair?! I didn’t even want to brush it but I knew I had to! Thank goodness I’d conditioned it so it wasn’t as tatty as it had been. If it had been nearly as bad as when I had a nurse brushing it for me at 2am because I looked a show, then I definitely would have just tied it back up wet and knotted with the plan to attack it another day. After that drama, it was time for a film (The Proposal) and bed. I didn’t sleep well through the night, it took ages to fall asleep, I woke up what felt like a million times, and at 5.30am I was about to give up hope. Next thing I know, it’s after midday and I’d just woke up 🙂 rolled out of bed for a couple of hours then went back to bed to get warm and woke up after 6. I was so shocked. I didn’t nap once in hospital. Normally when I’m in, I have at least an hour every afternoon, but this time I didn’t have anything. Must have been because I was flat out most nights with all the drugs I was given. So that ruined my plans of organising my life today. I definitely have to wake up in the morning tomorrow and sort out things like seeing the doctor, replacing my heliox supply, maybe reuniting with Jef?! This hospital admission was so much different to any of my others. The VCD part has never really been that uncontrolled before. I know it’s always played a part in my breathing problems, and I think it was a big factor in my admission in feb too but not to the same level as this past week. I’ve always thought of VCD as my lesser problem, I guess I’ve always looked at it in the same way I used to look at asthma when it wasn’t a problem for me. But now I know it’s definitely a problem, and maybe even a bit more worrying because not everyone knows about it. Even when people do know a bit about it, there’s not really a lot that can be done to help. I sent my respiratory team everything I have on VCD because they didn’t really have anything about it, and they want to be able to help me and any other patients that they may have with VCD. I’m glad they treated me the way they did this past week, whether it’s something they can keep doing on future admissions I don’t know, but I’m glad I don’t remember a lot about the horrible parts of my stay. A plus side to all the things I was given was that they had an effect on memory. I may have still struggled for a while, but I woke up every time remembering the start of the attack, remembering people coming to help, remembering them giving me some medication, waiting, and then giving me some more, and then I woke up. I know for definite that on one of the occasions I struggled the whole time until after I woke up, I’ve not asked about the other times. And for now, I’m content with not knowing. All as I do know is that once again I’m so grateful to the staff at the Royal for everything. There were some amazing staff who helped me way more than I think they realise. I would trust the nurses and doctors with my life over and over again. And I even survived the Junior Doctors Strike that was apparently “putting patients lives at risk”. I felt safe with the junior doctors there, and I felt just as safe when they were on strike. I’m forever in debt to the NHS, they’ve saved my life so many times now. 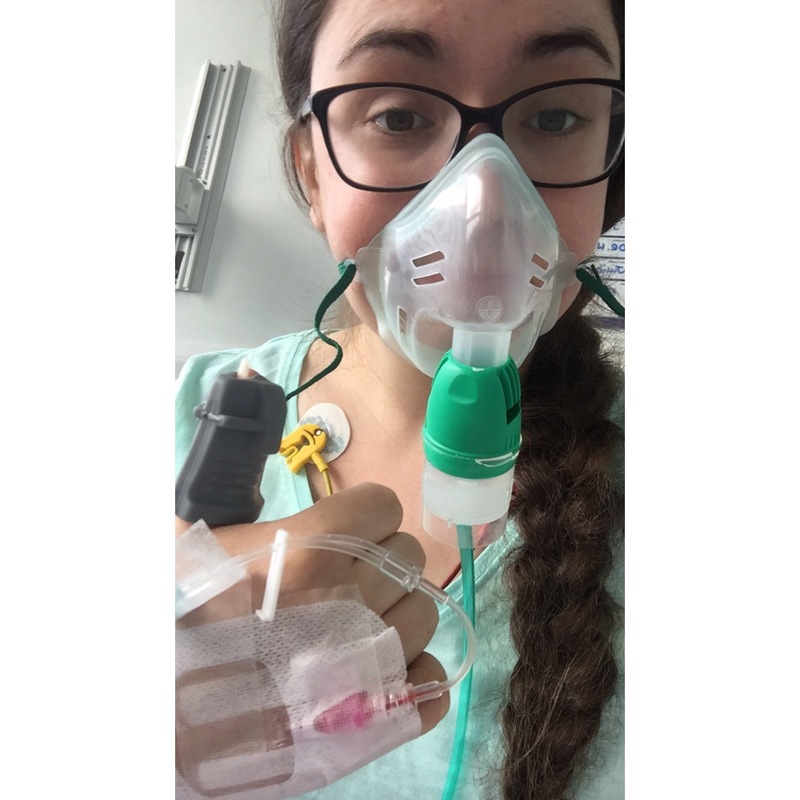 I’ve not blogged in so long about my asthma! 6 days into my latest admission feels like a good time to update everyone! I’ve been admitted regularly still but got pretty fed up of how monotonous it all got so didn’t want to bore you all anymore than I had to! This admission has been pretty different to normal. My VCD is playing absolute havoc with my breathing and I’m having attacks really regularly. So far the only way they’ve managed to break the episodes is with a big whack of midazolam to relax all my muscles. Even then I can still be struggling along for hours. I didn’t wake up from one dose (which was pretty big) for a good 12 hours or more. They’ve given me drugs while sat in a chair and ended up having to pick me up and put me on the bed so I didn’t slide onto the floor. I’ve had another head CT because I was not responding for so long. There’s been loads of emergency MET calls, high NEWS scores, blood gases, needles, meds, nebs and a few cylinders of heliox. I’ve had the usual horrors that happen when you’re unresponsive and can’t do anything for yourself too. One nurse told me not to worry what had gone on while I was unaware and to be more bothered about the state of my hair! Don’t worry she brushed it and braided it for me! I’ve got to admit though, the worst part was when they were trying not to give me midazolam and gave me regular lorazepam instead. I’ve never hallucinated or been so confused ever, and I never want to be again! The hard part about it is, it all happened. To me, it was all so real, and still is. I can obviously tell now that I wasn’t being tortured every time I slept, my phone screen had not suddenly become 3D or bent, I was not on a spaceship being forced to be on the red team when the blue team were destroying us, and my oxygen tubing didn’t talk to me. But I can still remember a lot of it! That’s probably not even half of what was going on! I’ve tried figuring out where I got some of the thoughts from, and what I could have seen or heard and warped it into what my brain remembers. It’s weird how sometimes a drug can make you forget everything that is going on, but the times when you could really do with not remembering it lets you hold on to those memories! Thanks brain! Thankfully, the confusion is over, I’m trying my luck without that drug for now. It’s only been offered a couple of times since, and not having it is working most of the time for me so I’ll go with that! 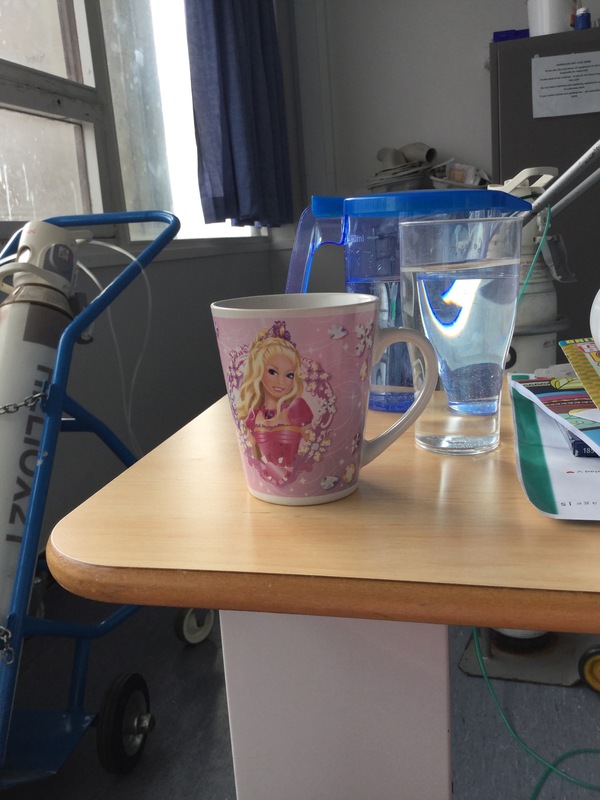 I’m still on the NIV unit (the step down unit on the respiratory wards, or is it step up? It’s like a mini HDU that’s not a HDU.) I’m still hooked up to monitoring, and I’ve still got jelly legs whenever I walk. I’ve known most of the nurses looking after me for almost the whole time I’ve been getting admitted here and they couldn’t be better, they would do anything for me. Someone bought me a magnum when the ward was really hot, someone else got me her own mug from the staff room and made me a hot drink. Some of the nurses just sit and talk to me for however long I need. It’s a good ward! And it’s definitely great to have someone understand what you’re going through, to offer words of encouragement and advice, and to make you feel like you can talk about anything and not have them think you’re crazy, or laugh at you. It does get hard to stay positive, I’ve put my family and friends and even myself through so much now. This week has definitely took it’s toll. Thanks for all the help, thoughts, encouragement, messages, visits etc etc. It does mean a lot to us all. And that’s pretty much it, I’m just sat here slowly improving and waiting to get sent home 🙂 still colouring in the same little page I started days ago! Hopefully I’ll remember to update when I’m home and happy!